Since having kids I have rediscovered coloring. When they open up their coloring books, crayons and markers in hand, I tell myself to enjoy this quiet time for myself, But it's hard not to join in. I'm reminded of how as a kid at the start of the school year I would get the huge box of 64 crayons and attempt to keep them in as pristine condition and unbroken for as long as I could. Now with my own kids, as they scribble away, I join them by meticulously staying within the lines with their new and pointed colors. This morning we found a new box, and all four of us started coloring. Looking at the colors, my husband picked up two nearly identical colors and asked "What's the difference between red-violet and violet-red?" The repeated strokes have a meditative quality, something that has been picked up as a kind of a trend. 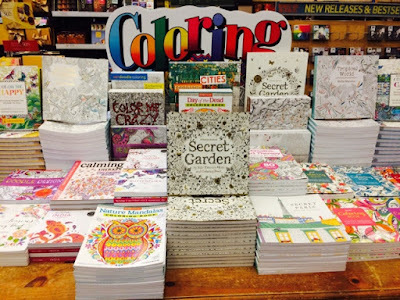 I was walking through a Barnes and noble in Manhattan recently and came across this display filled with coloring books for adults. 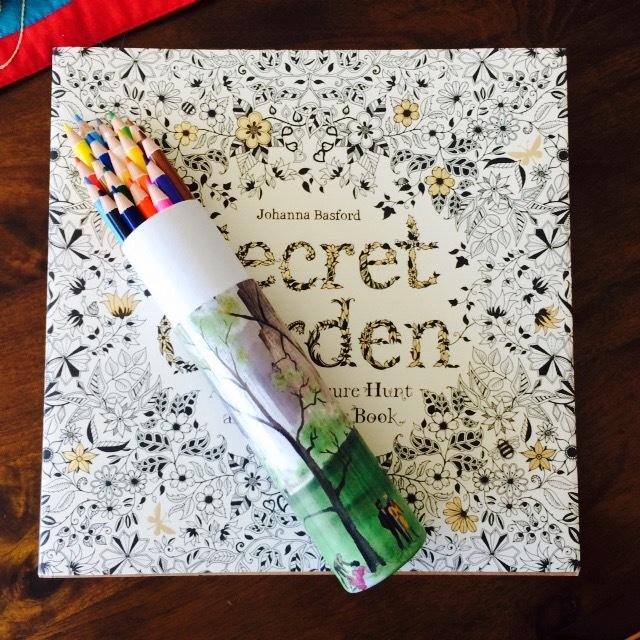 Not being able to resist the doodle like flower and leaf patterns, I bought the Secret Garden book, and also a set of 20 coloring pencils from the Metropolitan Museum of Art. I'm sure any other artists coloring pencils would do, but I just couldn't resist the uniquely packaged roll in the museum gift shops. I also got a kick out of the fact that I'd be able to use my Liberty Bell pencil sharpener again (it's the little things). 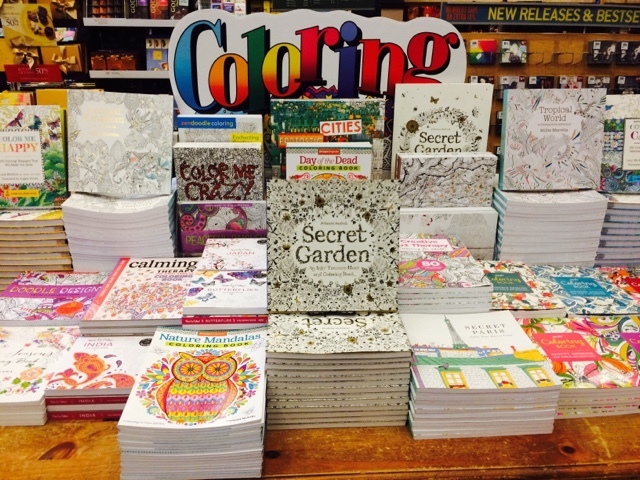 It's hard not to get swept away by coloring. It really is the perfect rainy day activity for moms and kids. And dads too.